Dinner was simple last night. 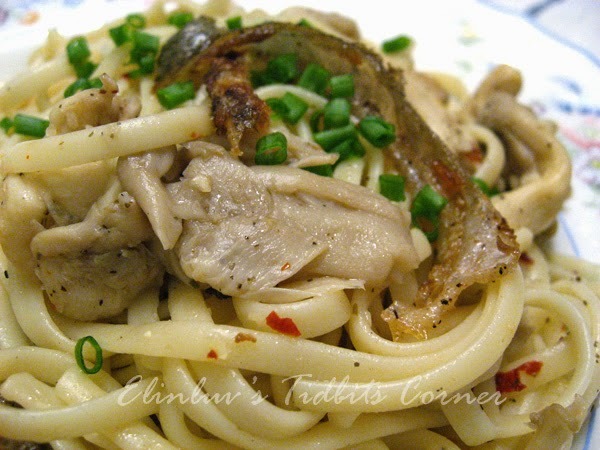 Boiled linguine till al dente, drained off the water and mixed into the stir fry fresh mushroom. Throw in a pinch of herbed sea salt for taste. Added some chilli flakes and ground black pepper for some hotness. 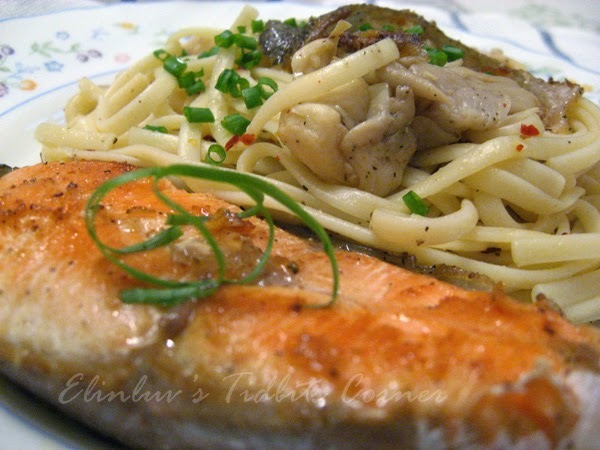 Pan seared salmon , a squeeze of lemon on it and tada...dinner is ready in less than 40 minutes. Yummilicous and we eat this facing the idiot box watching my favorite programme of the night...yea watching Angel's Revenge which I had recorded in the morning before going to work. I love one dish meal for just this reason. Each of us holding a plate of pasta and multi tasking away. Chomping down the pasta and the eyes glued to the idiot box LOL! 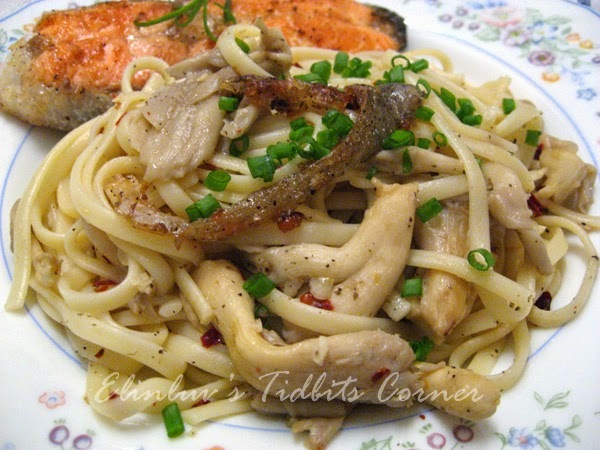 You have me at the fried salmon skin! The pasta looks delicious, Elin.